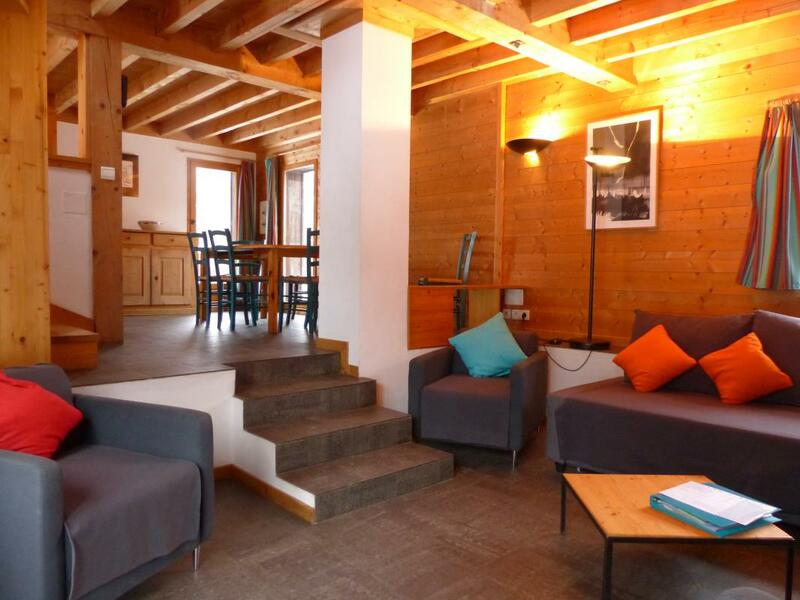 A short distance from the historic centre of Samoëns & Le Grand Massif Express (cable-car), former barn converted to chalet (70m2 + attic). 1st level: lounge, kitchen opening onto living room (microwave). 2nd level: bedroom 1 (double bed), bedroom 2 (beds: 1 single + 1 single in low mezzanine), bedroom 3 (beds: 1 single + 2 folding in low mezzanine - open tread staircase access to mezzanine), bathroom, WC. Garden (garden furniture, children's games), cellar/utility room. Gas-fired central heating. For hire: bed linen. Chalet set back from a departmental road. Fine view. 10% reduction for stays of 3 weeks. Activities 1km. Leisure centre 1km. Le Grand Massif ski area 1.5km. Free shuttle 600m. Damage deposit: 300 Euros. Fixed charge for house-cleaning: 80 Euros. 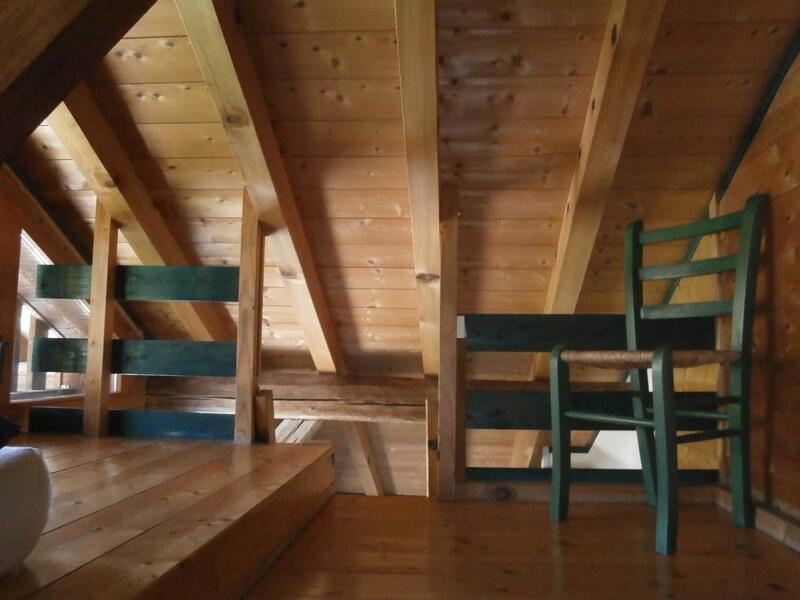 A pochi minuti dal centro storico di Samoëns e il Grand Massif Express, ex fienile trasformato in uno chalet di 70 mq + soffitta. 1. Vin: ristoranti aperto sul soggiorno. 2 ° Vin. : (1 letto 140) Ch1, Ch2 (1 letto 90, basso soppalco 1 letto 90), Ch3 (letti extra basso soppalco 1 letto 90 + 2). Accesso al soppalco di scala. Bagno, wc. Terreno con mobili + giochi bambini, cantina/lavanderia. Centrale gas di riscaldamento. Chalet situato al largo di una strada, bella vista. Soggiorno 3 settimane - 10%. Attività 1 km. Base ricreazione 1 km. Campo delle Grand Massif 1,5 miglia. Navetta gratuita 0,4 km. AFFITTO DA DOMENICA A DOMENICA INVERNALE. Sconti secondo periodo vedere con il proprietario. 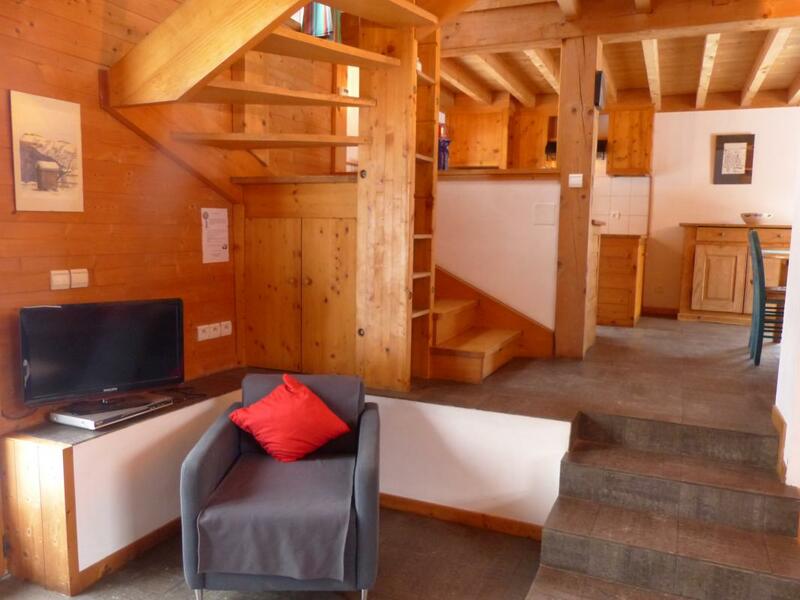 A quelques minutes du cœur historique de Samoëns et du Grand Massif Express, ancienne grange transformée en chalet de 70m2 + mansardes. Rez-de-jardin salon (canapé) ouvert sur la cuisine ) salle à manger (en 1/2 niveau). 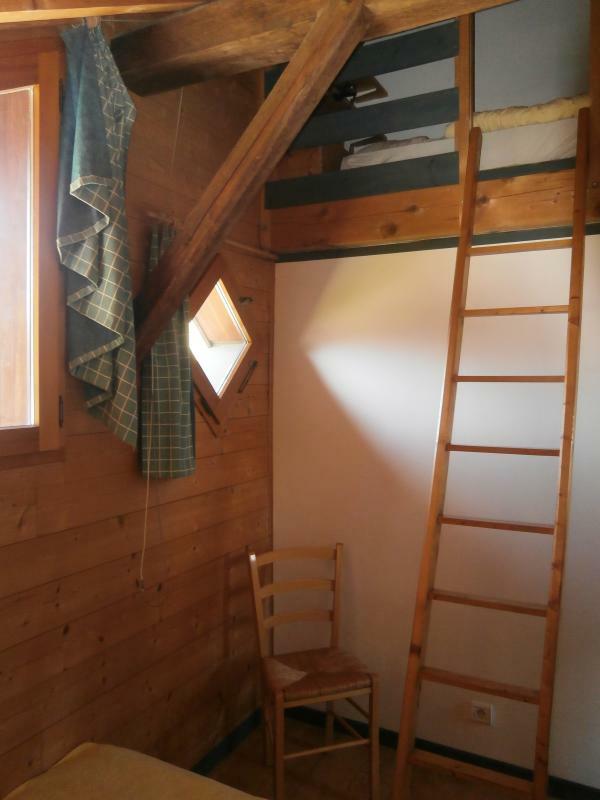 A l'étage : Chambre 1 (1 lit 140 cm), Chambre 2 (1 lit 90 cm, 1 lit 90 cm en mezzanine basse), Chambre 3 (1 lit 90 cm + 2 lits d'appoint en mezzanine basse). Accès aux mezzanines par des échelles. 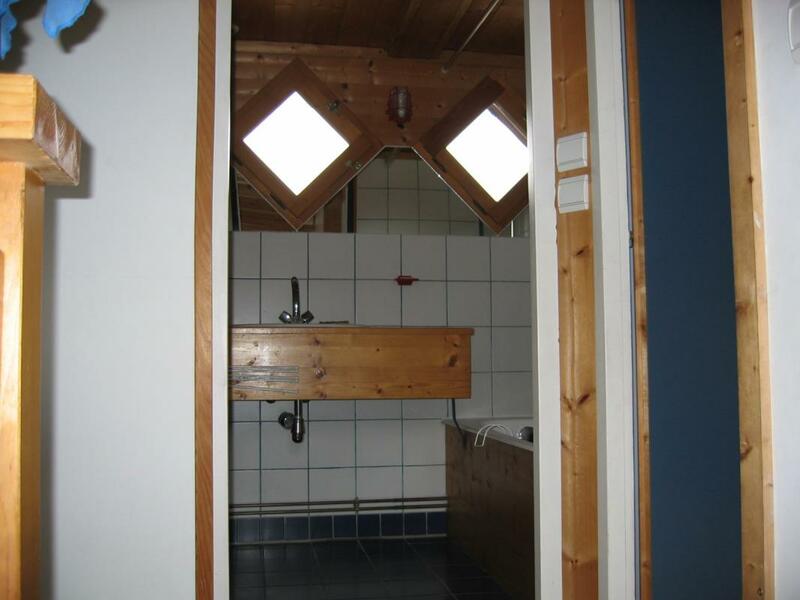 Salle de bains, wc indépendant. 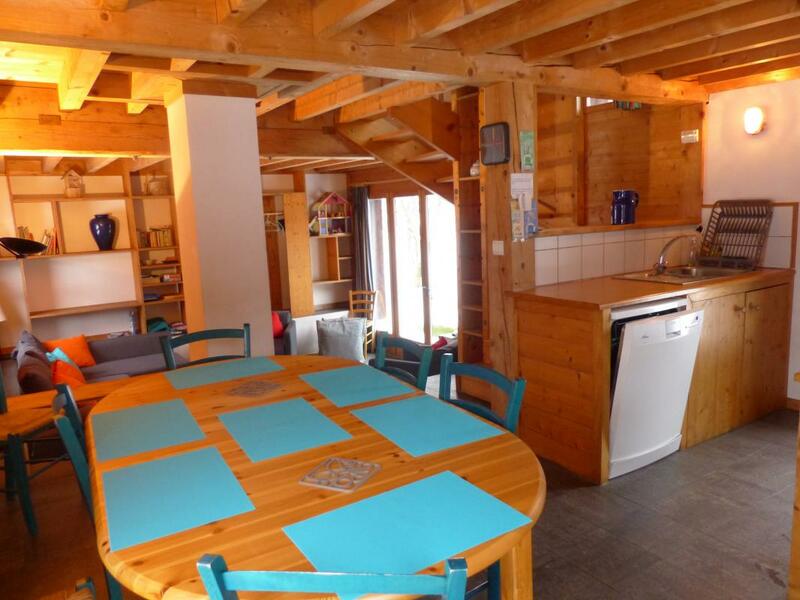 Terrain commun avec mobilier de jardin, barbecue, pingpong, badminton + jeux enfants, cave/buanderie/local à vélos et skis. Chauffage central. 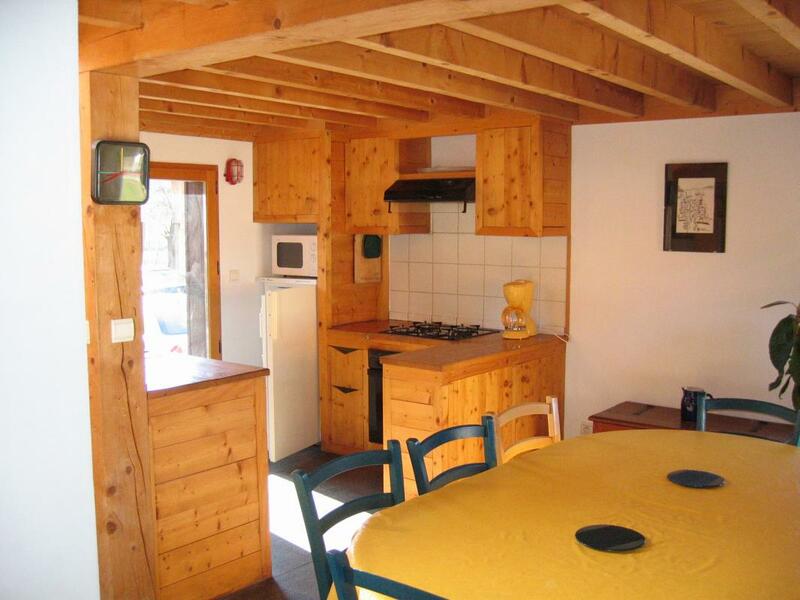 Chalet situé en retrait d'une route départementale, belle vue. Commerce à proximité. Centre du village à 15 mn à pied. Activités et base loisirs à 5 mn à pied. Domaine du Grand Massif 1.5km. Navette gratuite 600m. LOCATION DU DIMANCHE AU DIMANCHE L'HIVER. Tarifs dégressifs selon période voir avec le propriétaire. 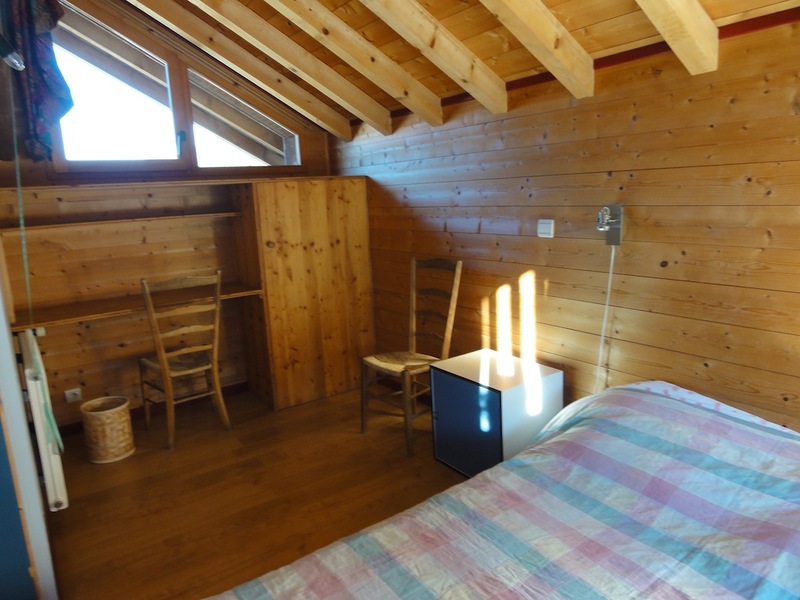 Agréable gîte mais trop près de la départementale d'où passage incessant de véhicules très gênant pour les chambres donnant de ce coté-là... Propriétaire très charmante ! 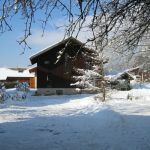 In the heart of the Haute-Savoie, at halfway between Geneva and Chamonix, this massive benefits from part its geography, a regular and abundant snow throughout the season. Its altitude is between 900 m and 2500 m altitude. The Domaine du Grand Massif is 265 km of tracks linking the stations of Sixt-Fer-A-Cheval, Les Carroz and Flaine, Morillon and Samoëns. 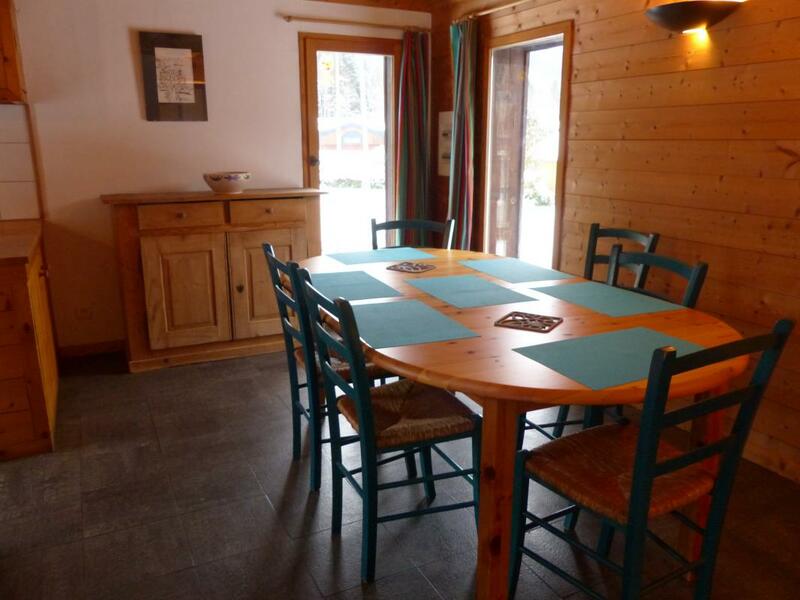 The estate comprises 78 ski lifts, 1 snowpark and 2 recreational areas. 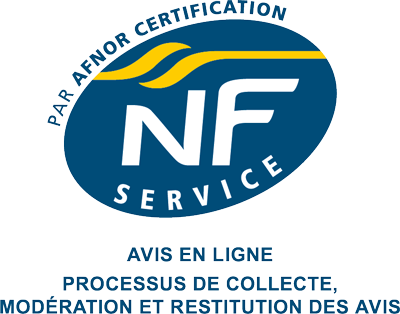 Access from the village of SamoënS is in 8 minutes via the Grand Massif Express. 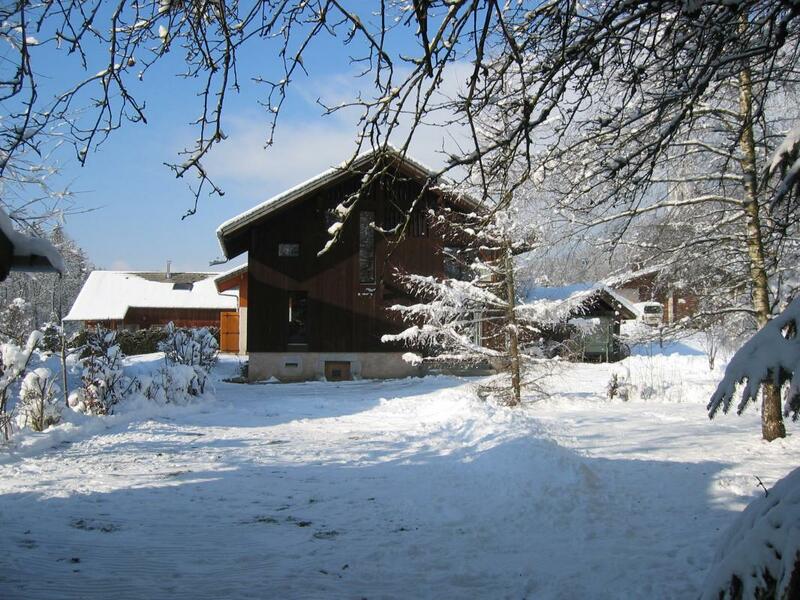 In the heart of the Grand-massif, Samoëns, Morillon offers a relaxing environment conducive to relaxation and discovering the delights of the mountain. With its 265 km of slopes (79 lifts) and its 5 Resorts (Morillon, Samoëns, Sixt Fer à Cheval and Flaine, Les Carroz), the Grand Massif ski area is today considered one of the most beautiful and large French ski areas. Halfpipe, sledding, paragliding, diving under ice, snowshoes, Ski joering, Snowpark, Telemark... The northern area of the Vallée du Giffre, it is 46 km of trails traced and marked trails, leading up to the famous horseshoe Cirque. In summer, enjoy all activities proposed around Blue Lake: swimming, archery, environmentally friendly ice rink, course in the trees, horse riding... but also all visits to remarkable places. In the heart of the haut-giffre Valley hides Samoëns. The secret d one rich and preserved nature, d a mountain d activities and d animations. Connected directly to the fifth largest French ski mountain village: Le Grand Massif; 265 km of slopes for 79 lifts. On the side of skiing, the Nordic area in the heart of the Valley of the Giffre de Samoëns in Sixt Fer à Cheval: 46 km of ski trails laid out also for the skating and the site of the Joux Plane pass located at 1700 meters altitude: 30 km of slopes.Many activities including dog sledding, snowshoeing, snowboarding...Summer in Samoëns, is a stay in a village among the old houses with balconies covered with flowers or on the renovated wood farms, but it is also a multitude of activities on land, on water or in the air, in a grandiose setting. 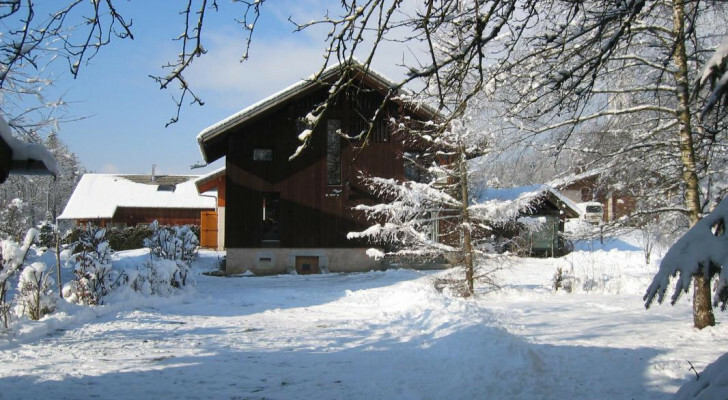 Sixt - Fer-A-Cheval is located in the heart of the massif Haut Giffre, approximately 740 metres above sea level and 5 km from Samoëns. Village ranked among the most beautiful villages of France thanks to its architectural heritage and especially its natural sites. The ski area of Sixt (6 lifts for 34 km of slopes from 800 to 1600 m altitude) is connected to the Grand Massif (265 km of pistes, 79 ski) by the beautiful Cascades slope, a blue 14 km. The northern area in the heart of the Valley of the Giffre of Sixt Fer à Cheval in Samoëns, is 46 km of groomed and marked trails. In all seasons, the multi-activity is de rigueur. Whether you're relaxing, accomplished athletes or curious to try a little of everything, you will find an activity to your measurement. Circus of the Horseshoe is part of the reserve, and is also classified large national site. A trail leads in four hours of hiking (go and return) to the sources of the Giffre. 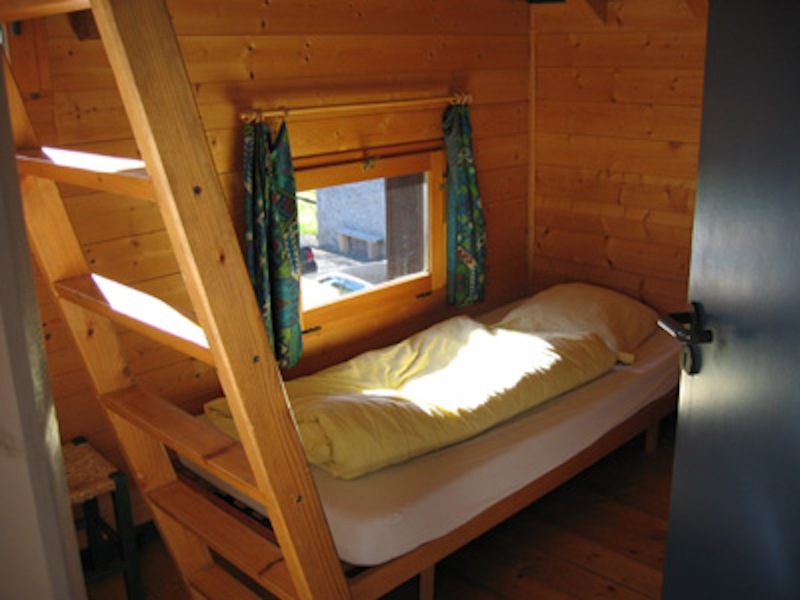 Accommodation with internet connexion! Even on vacation stay connected with your tribe! For work during vacation "junkies" or for those who wish to continue to surf the Web. Here is the list of accommodations equipped with a connection (ADSL or Wi-Fi) internet access during your stay.